I share Count's assessment, but we should keep the complaints out of this thread and make this a factual bug thread. Hopefully someone from Activision Support can monitor this thread and get those developers on a patch. (This is easily the worst of the games in terms of bugs). Problem: We finished Chef Pepper Jack and suddenly the game crashed. We restarted to find our file had corrupted. Very disappointed in the shoddy nature of this game. Toys For Bob needs to get out of game dev. Problem : Replayed this level after completing it the first time and couldn't get past the geysers because the boulders were already in place and the geysers didn't work. Solution : Play any other level and then go back to it and it fixes itself. Fools! I've had it up to here with your incompetence! Actually no, even higher..up to HERE! Meh. I'm irritated at the two glitches I've dealt with so far, but it's hard to point a finger these days with glitches. Maybe because I use to program, and have been getting into development (on the side) myself. Marinate on this for a moment. Back in the 90s you really had just two platforms, and they were so different that playtesting was separate. You never had a glitch on both systems as they were done from the ground up - apart. Now, not only are we dealing in 3D environments and more complex games to program, but this was released on tablet/wii/360/ps3/wiiu/xbone/ps4...7 different consoles. So the game gets developed on one console - most likely the PS4 this go around. they play test the hell out of it to try and take care of any major bugs they can come across related to game play and geometry. then the game gets converted, and the process has to be done AGAIN. In there you now how bugs and glitches to deal with that are specific to the game design, then you have bugs created by the conversion (varies by type), then you have bugs created by the system specific fixes and changes. Oh and each conversion is then cleaned up and tweaked to perform best on that specific console (some more than others *wii cough cough*), and that creates more bugs. This is a great and HORRIBLE time in gaming. On one hand we have options out the wazoo. On the other hand this creates a dilution of available resources and time. On the flip, with the ability to patch, a game can be 're-tested' by the general population and corrected. That's the part that I pay more attention to. It's not that there are bugs, when you introduce even MORE platforms to test, its going to get worse (yes hte S4 had SF, but that was done AFTER the game had already been out), but what;s important is if the developer is willing to correct those bugs. The patch didn't resolve it for me on PS4. According to Activision Support, this should have fixed it. Call them and notify it did NOT. I don't disagree with ANYTHING you say, but at the end of the day this problem falls on the development company, or the holding company holding up unrealistic expectations. if they choose to visit this on customers, then they shouldn't be very surprised if the franchise implodes on them. Btw, I understand bugs...I can't or won't tolerate game stopping bugs, of which there are several here. Close 2nd are characters that stop to work over a period of time. Telling people to "start over" or "reset the game" is not a solution. It sounds like they need a reality check on how many platforms they support for this game, the length of time of development, or take a closer look at the development team's SDLC practices. if any comfort at least its good to know that the story on the ps3 version can be completed(without the patch) without any game breaking bugs. you may get stuck on some graphic, not pick up all the money things, not catch villains variants or other minor things. but there is no corrupt save files and uncompletable levels. this have been reported here by another ps3 owner. The reported "problem" about variant traps is that they have not been pre-loaded. It's perfectly possible to catch the villain and load it onto the variant trap, where it will appear as the variant villain. if you have a variant villain and you don't have the 1.01 patch, it's possible that it may not show a villain loaded. Load the patch to resolve the issue. I was referring to the same. It coincides with the reports of the villain not being pre-loaded, but none have specifically reported variant traps who they have manually inserted a villain into - only brand new traps. People have also reported installing the patch, but still having the trap empty - again, only brand new traps that have never had a villain inserted manually. In conclusion: There is no evidence to support that a variant trap is still empty after the variant villain has been loaded into it, even without the patch. Just a quick question, figured it would be better to post it here then make a topic. Has anyone else had trouble with their portal? I haven't dropped, banged or done anything to my portal and went to use it a day after playing and the speaker and light for the villans does not work now. I attempted to contact acti but no response. I'm on PS4 and my trophies won't sync. There was already a patch for the game as well. How does this glitch interfere with gameplay? Hi Activision and everyone who made this game. I just bought this game Friday for my son on PS4 which he have waited ages on. But after playing non stop with both me and his friends the last couple days and getting a high portal master rank, and completed alot of missions. Then they wanted to try out the much awaited Kaos defence tower Trial thingy, and after they completed the first 2 challenges and was in love with it, then they started up the third (3) challenge, and the game TOTALLY CRASHED currupting the game install and save, even deleting everything couldnt fix the save even the cloud save was corrupted for some readon!, so we tested it again to see if it was a 1 time bug, but again when in town after first or second story mission, they started the third kaos challenge st the Kaos statue in the town and it crashed again even my PSplus save as mentioned before was unuseable. At the same time wanna hear if anyone have the same problem with the COOP invisible line between players, it is way too short, sometimes you get teleported to the other player almost at once when moving a tiny bit away from each other, which then for some reason gets teleported to my player. And if jumping on a high jumping pad its an endless loop sometimes then i have to restart the lvl. It happends on some lvls, but the best place you can test it is in the small coin bonus lvls in the start school area inside a door to the left and behind the fireplace, try it coop and get player 1 to jump on the jump pad where you jump HIGH and the other player 2 isnt doing the same at oncet, hen its just teleport spam frustration madness. Are you able to consistently repeat the bug? YES both bugs the gamebreaking saves corruptingnone and the invisible line between coop players which should be set to s much further distance without the game spam teleports. I have the Wii U version of the game. I feel like the Swap Force Skylanders are super buggy. I'll try more and let you guys know, but my main issue has been with Stink Bomb. When he turns invisible, I sometimes can't see him at all on screen. I should see a cloud to know where he's at. Also, his stars don't show up when I shoot them. They attack the target, but I can't see what he's throwing. Stink Bomb is one of my favorite characters from the last game, so this is kind of annoying. And any other information that you think will help us - please feel free to add it is appreciated. We look forward to hearing from you guys! And thank you. Just Finished beating level 100 of the kaos challenge kept indicating to use rt but would not allow me to open present. Glitch: Chapter 8 Achievement not unlocking aftre completing level. All others ok.
Repeat: Started a new save and still did not unlock the chapter 8 complete achievement. Not sure if anyone else has had the same issue but looks like i will have every achievement except that one. Solution: It fixed itself, It never happened again. Glitch: During a battle in Phoneix santuary (that one with some Shrednaughts) the camera don't followed the character whenever I tried to go left of the screen. okay bug and glitch hunters here is the info so far about the patch..
^You're going to contact Activision Support again? So far, after beating the game, the only bug or glitch I've encountered was that Cross Crow didn't spawn when I got to the area he was supposed to be in. Of course, a second run through of the level fixed that. http://forum.darkspyro.net/spy...hp?topic=129460 Check out my Skylanders game idea! My Quickdraw Rattle Shake's purple skin armor doesn't show up for the bottom half. The top does just fine, but the bottom half is always pasty white. On my PS4, the patch was only listed to fix "Messages. ", and hasn't fixed any other issues. Let me know if PS3 version does any differently? i found a minor bug, the sound of the villain after it have been played leave a static sound in the speakers some times. Glitch: Trying to swap villains at the villain vault/prison at Skylanders Academy. I take a trap that already has a villain in it, then select a new villain. New villain appears. I use their primary attack and they work fine. I try their secondary attack and it seems to work for a moment and then the dreaded 'A toy on the portal has problems' blurb appears. When I take it out of the portal and then put it back in the original villain reappears not the one that I had just swapped it to. This happen last night with a tech trap an air trap and a water trap so it doesn't seem to be trap/element/single villain related but rather just an overall glitch. What I have done: Taken the trap out of the portal, put it back in and then repeated the steps to try and swap a new villain in. Solution: Eventually after 4-5 goes the new villains 'stuck' without a problem. I also just avoided using the secondary attack button. I keep getting minor glitches everywhere for example a goblin that don't show the correct animation and tries to get me while siting, my deja vu keeps leveling down for unknown reasons, chompy mage animation getting stuck, my portal not working with thumpback, during the combat against dream catcher deja vu went crazy and started damaging dream catcher without touching her, and a long etc. Too many glitches I even lost the count and the black stripe glitch in the hub returned twice. [Edit]: I'm playing the Spanish version of the game, maybe that's the problem. People of my country can't do things right. That would be a bless, not a glitch, if it happened to both the halves of my Rattle Shake. I hate his purple skin! During the Kaos Doom Challenge, I allowed the enemys to break the box, then out a came a giant scrap shooter, yet on its health bar it said it a shield shredder. what i did that maybe triggered the bug/glitch: when i was at north's house, i moved the mirror bench at the window a bit to the side(it should not be moveable). i did this before i did go open the village chest. i also removed the skylander while the money was popping out. so these two factors could be the reason for the bug/glitch happening.. Seeing as how no one has reported it to this thread in a more official capacity, I will do so. Somewhat major bug: Hood Sickle's dash (Y on Wii U) pushes his hitbox forward a slight bit, even through walls. Using this, you can touch the "transport to another area" planes/hit boxes with Hood Sickle of certain areas that fall under certain conditions, and exploit quite a few things in the game using only 1 trap. The areas this is effective in must have a door or wall blocking your access, and right behind it, an entryway to another area (a.k.a. where the "transport" planes exist). You can use this glitch to pass cetain element gates (I haven't tested them all, but I estimate you can exploit 6-8 including some currently "unknown" gates), or areas where you have to defeat "x amount" of enemies where the area you are blocked from falls under the same conditions. I honestly see this glitch evolving into some sort of "clip through about anything like I own the place" fashion due to the way it seems to work. Until someone finds a way to do it, I hope my analysis sprung some ideas to mind. Fix: It when't back to normal after i got inside the greenhouse. This bug I'm posting now is similar in concept to the one that I posted earlier, however, I feel its just different enough in how it operates to warrant a separate post. It still revolves around Hood Sickles dash. Bug: We all know Hood Sickles dash/teleport is very short, barely even a whole character length, however, you can extend it dramatically using a glitch. The extent to which this extends your dash is enough to clear gaps that are too big to jump. Use your dash (primary attack button), and IMMEDIATELY AFTWARDS swap to your skylander. If done right, you will see Hood Sickle dash a much larger distance than usually does before the skylander swaps in, and the skylander will spawn in where the dash stopped, or slightly behind it on the dash path. Alternatively, you can flip a switch, instead of tagging out to get the same result. The distance you go seems to depend on where you're standing, and the frame you tag out on. I have yet to succeed in using it to clip through stuff, but it can clear gaps too large to jump as stated before. Edit: I can use this glitch to skip Smoke Scream entirely when using it from just the right spot. Edit2: This glitch can be used to get into the magic gate on chapter 8. Glitch: while simply walking around with bushwhack the entire screen seems to bounce with his steps. It's almost like the entire screen but my character is choppy and bounces. It's to the point I regret buying this character. I haven't tried other stages yet, but this is ridiculous. So my portal broke for a second time, my xbox one glitches out and wouldn't pick up that the controller was reconnected so I restarted the game and put a trap in and no light or sound. Here we go again. I don't know if this has been mentioned before, but for kicks I was playing the Skeletones music game as it really amuses me to hear the corniest Skylanders rap. I tried Giants Double Trouble and at least two of his sound bytes are totally wrong. One byte is a lady Skylander (I couldn't tell who) and another is obviously the robotic voiced Drobot. Ooga booga...this is on the 360. But yeah, the worse glitch I've had to date was during the Golden Queen boss fight. I got her health down to half and that's when she decides to switch to a new attack. During her change I swapped out Magna Charge and Hood Sickle and put in Zap and Broccoli Guy. I guess she feared this awesomely scary pair (sarcasm) as when their animations ended she was gone. I waited 5 minutes and she never returned. I tried swapping out several Skylanders and nothing got her back. I had to restart the level and luckily everything I done prior to that was saved, so I didn't have to go after hats and treasure chests again. It was a rather annoying level to plow though and I would have been upset if I had to go through all that extra hat and treasure stuff again. Dark element is best element. I used the glitch in my last post to get into a magic gate that can't be broken into through the normal Hood Sickle method. The link to a vid showing it is in my last post for those interested. Glitch: Solved the last steam pipe puzzle, I moved past where they were and and explored a little maybe smashing some items...I went back through where the pipes used to be and they reappeared. Once I solved the puzzle again and the pipes started going down everything slowed down. None of the buttons on my controller would work anymore (barely responsive), switching between characters, villains did nothing to improve the situation. After trying different things for 10 minutes I shut my PS3 off. On my next Play through, I could not advance past the gate that is near the house with all the old clocks in it. There were no enemies to defeat, so the gate wouldn't open and I was stuck and had to restart the level again. Later on I was replaying the Phoenix sanctuary level with boom jet and after defeating all the enemies (the area with the trolls that have egg shells on their heads) the cage with the acorn in it did not open causing me to have to restart the level. In general I didn't encounter any major problems on my first play through, but today replaying several of the levels, almost anything in game that moved glitched. Elevators auto went to the top when I stepped on them, gates never tripped causing me to restart, some gates I could just walk through like they weren't there...I hope it doesn't continue to do this stuff or it will be almost unplayable. Glitch: Blades just started to go insane and make the tornadoes go everywhere and I couldn't stop it until I found out the solution. Solution: Take blades off the portal and put him back on. Well, it might be obvious, or it might not, but I came to a conclusion. The majority of the bugs and glitches (even the gamebreaking ones) are in the next gen versions (PS4 and XBOX ONE), and as and owner of a PS4 copy of the game, I can confirm it is actually a little glitchy (not really buggy, not so far at least, but believe me, is not fun to play with the fear of having your files corrupted forever). Now, who did the next gen version of Trap Team? The same developers who made the extra-buggy Wii version of SWAP Force! While they proved themselves to be able to create a really great looking game (the Wii might have limitated them, but I'm not that sure), and even a fun and enjoyable one, it's also clear that they are not mature or experienced enough, yet, to make it also stable and "bug-free". TfB created the game, but Beenox realized the true phisical disc. 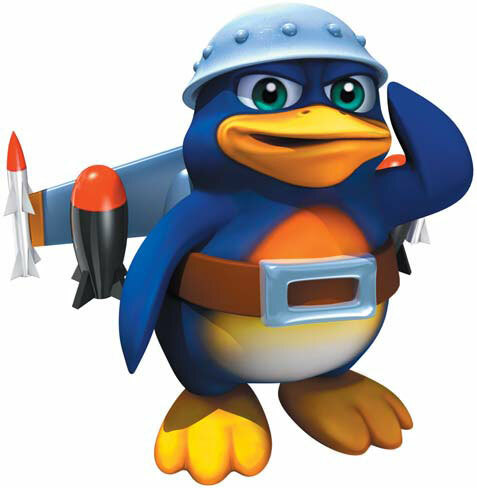 I hope they take a break from the Skylanders series, maybe creating some original IP's to grow up, before returning to this franchise. i agree with you after two games beenox should stay away from the main game... i have been playing the 3ds version that is done by beenox and they did a good job there. i have not seen a bug/glitch yet and i have the last chapter left before i complete it. so beenox should only stick to the 3ds from now on. tfb should get xpec on the team like they did with ssa. I have this issue with both the DI2.0 portal and the TT portal. USB control doesn't seem to run through the system, but is being controlled through the software, as I can fix it by opening another game and turning TT back on after it's been cleared from memory. I ended up running a hub and might see if giving the hub power will help, but yeah its a major annoyance. Thanks for remembering me that they also did the Wii U version. The 3DS version of SWAP Force was really good too, and I'm really happy to hear that the Trap Team one is as well made, since I plan to pick it up by Christmas. On Wikipedia it says that XPEC only distributed SA, not actually developed it. I think they should stick with TfB and V.V. for the console games, and let Beenox work only on the handheld. Details: My Night Shift was fully upgraded, fully levelled, with 65535 Gold and all Quests complete. When I placed him next to Hood Sickle into- I think it was Soda Springs or The Future of Skylands, though could have been Chef Zeppelin- he had less progress than I earned with him in SWAP Force. He was lowered to Level 14, had about 14000 gold instead of 65000 and after going back to SWAP Force, all of his Quests aside from his personal Quest, Fruit Frontiersman, Badguy Basher and PVP Champ were undone (of course it deletes my progress on the more annoying Quests). Also, levelling him up and earning everything on him which was lost again is not a solution and is merely rectifying the problem caused by the game; I hate doing Quests in SF because it takes me hours and they're repetitive and don't even appear in any capacity in Trap Team, and I had to finish most of Night Shift's again before I could get him back to the way he was.